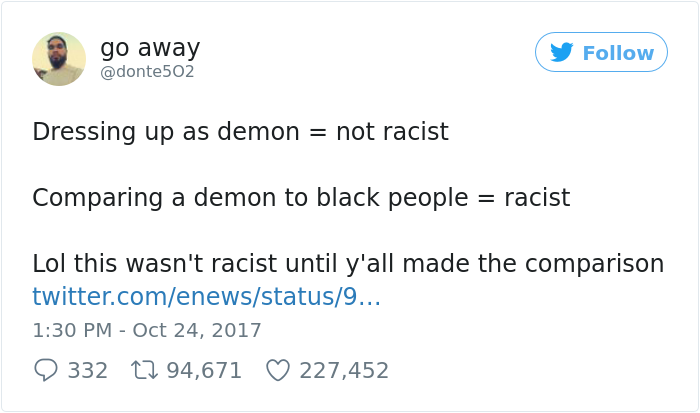 In this day and age, the Internet’s eye for racism has never been keener. 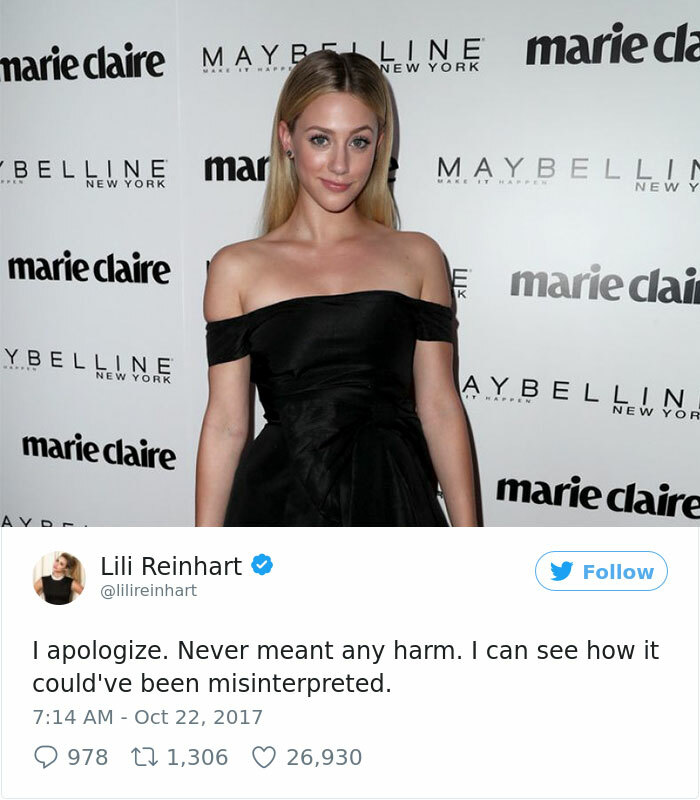 This is helpful when real, insidious examples are publicly identified and called out. 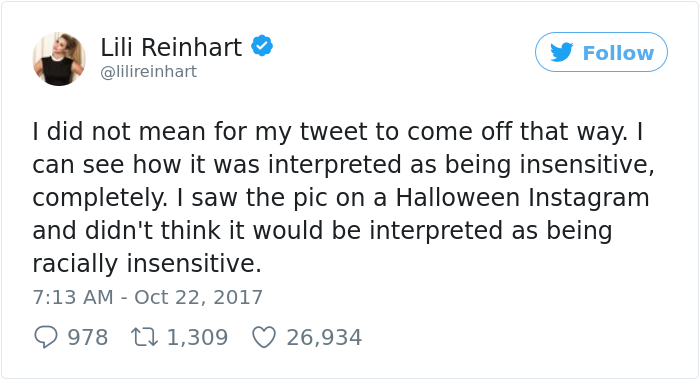 It creates problems, however, when hyper-sensitive ‘social justice warriors’ decry it where it most likely doesn’t exist. 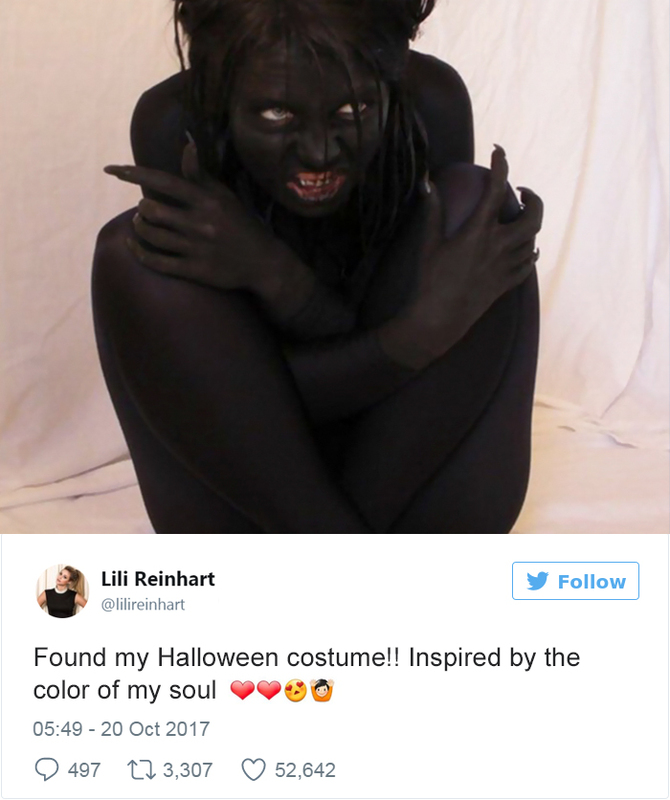 Riverdale star Lili Reinhart unwittingly put herself at the center of this debate when she tweeted a photo of a Halloween costume idea – a demonic creature dressed in all-black and adorned with pitch black body paint. 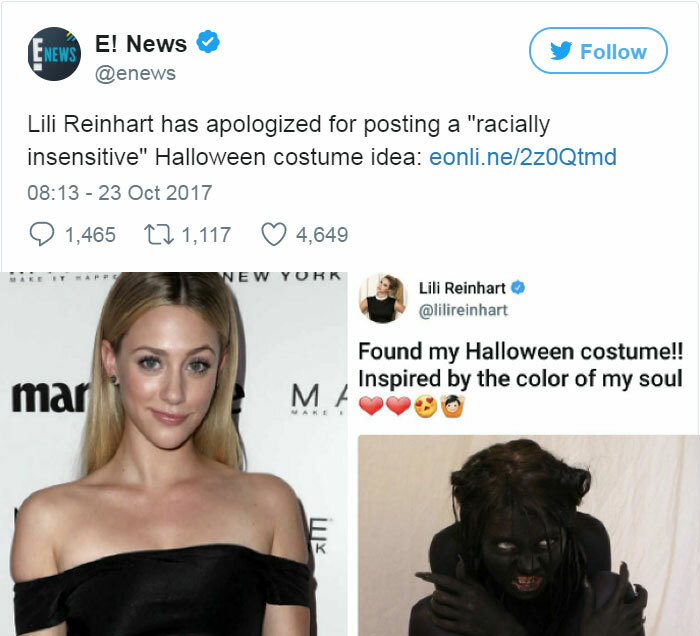 The blackface accusations came flying in almost immediately, leading Reinhart to hastily delete the photo and issue a sincere apology, insisting that she meant no harm and didn’t initially see how the photo could be perceived as ‘racially insensitive.’ As a heated debate raged on, though, it appeared that even most People of Color on Twitter agreed that the costume was in no way offensive, with some appalled that others would liken the image of an evil creature to a Black person.